Welcome to Italmoda Furniture, a showroom which invites consumers to enjoy a modern lifestyle. 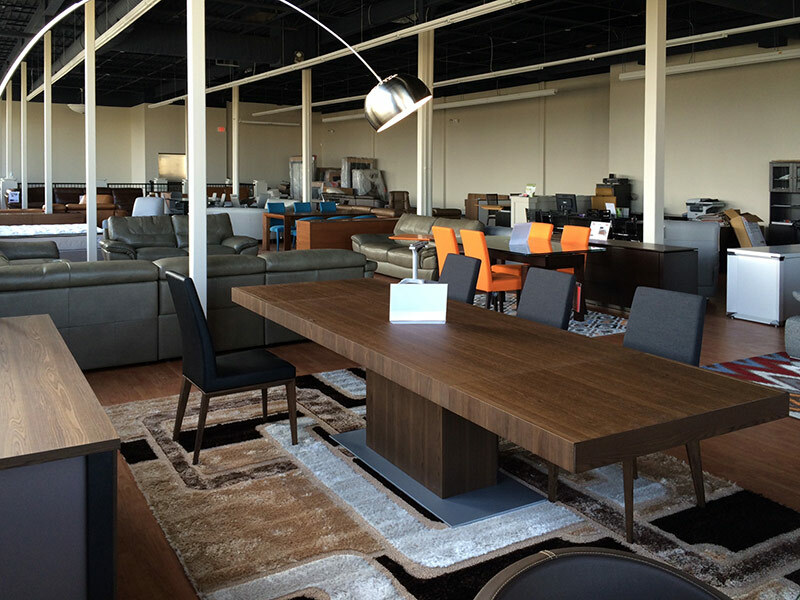 With one of the largest selections of European and Italian furniture, quality is matched with affordability. While our exceptional styles and vast selection excite you, just wait until you visit us in person. Browse through floor models designed by manufacturers such as Calligaris, Natuzzi, Rossetto, and ROM. Superior craftsmanship sets our furniture apart while special pricing on all floor models makes Italmoda Furniture the place to shop. Frequently alternating our exclusive floor models, pieces are displayed in specific colors. Models typically taking several months to receive are now available as floor models. If customization is needed, our manufacturers make it possible. Customers are able to choose and customize every aspect of their order. For example, colors of materials, stitching colors, grades of leathers and fabrics. Features such as recliner options, decide between electronically powered or manual recliners, head adjusters, and more can all be tailored to fit your individual needs. Above all, we offer professional delivery and installation at one flat rate. 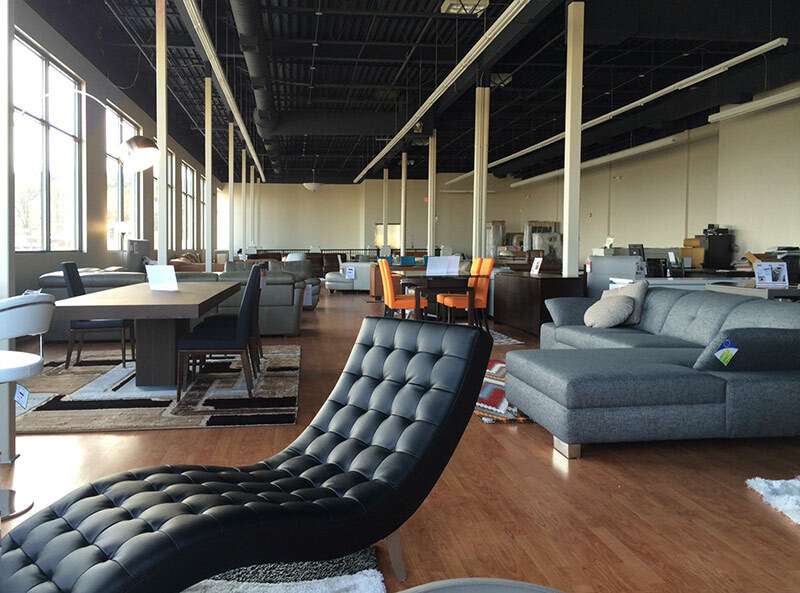 Italmoda is the largest contemporary furniture store in New Hampshire. With such an extensive supply of high quality furniture comes more availability for our customers. For Dining Rooms, explore a selection of Dining Tables, Dining Chairs, Buffets, and Curios. As customers shop further they notice we also have Bar furniture as well. From Bistro Tables, Bar Stools, TV Units, and Entertainment Systems, Italmoda offers everything to complete an Entertainment Room. For bedrooms we offer Leather and Wooden beds by Modloft, Metal beds by Amisco, Dressers, Chests, Nightstands by Rossetto, Mattresses’ byMagniflex, Sofa-beds by Innovation. The Living Room is the most popular room of the house; we have plenty of options such as Sofas by Nicoletti and Natuzzi, comfortable custom Sectionals, Fjords Recliners, Lounges, and Coffee Tables. With leather and fabric models to choose from, it will be hard to only pick one. Need to get some work done? Enjoy privacy with our Office furniture by Jesper Office. Customers have the options to choose from Computer Desks, Office Chairs, File Cabinets, and Carts. We also have a variety of options for Children’s Rooms. Whether it is a stylish playroom with tons of storage to Children’s Bedrooms, we have plenty of colorful kid-friendly furniture. Finish any space with Accessories from our Occasional furniture consisting of Area rugs, Lights, and even Wall art to warm up your walls. The best part of all is our location. Only 40 minutes from downtown Boston, we are situated right off of the Daniel Webster Highway along with over 134 stores within a half a mile radius. Only one mile north of the Massachusetts border into New Hampshire at a convenient intersection, our unique location allows you and your family to make a day out if it! New Hampshire purchases do not include sales tax, we hope you come and explore all of what Italmoda has to offer. We look forward to assisting you in creating a home that reflects your style while fulfilling your needs.